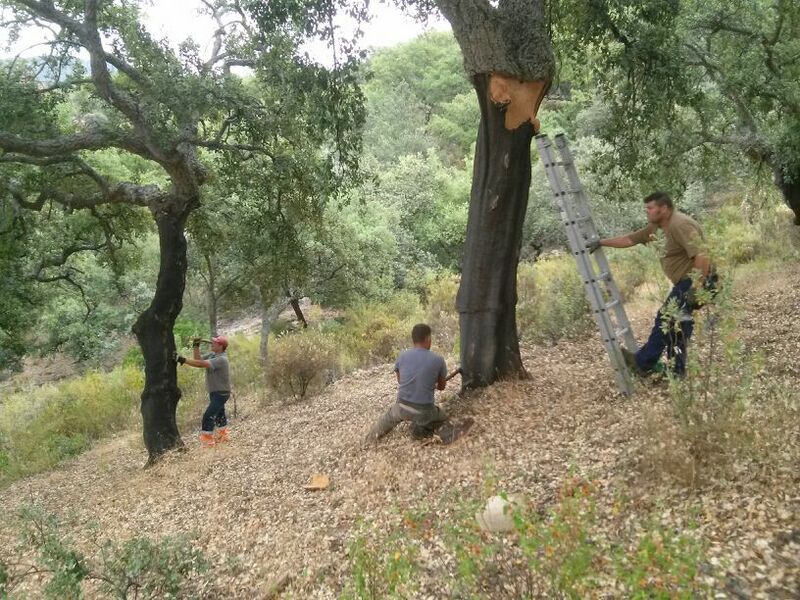 El descorche : next time you uncork a bottle of wine you should appreciate the marvelous cork and the work that goes into harvesting it from the dense and mountainous cork forests of the Iberian peninsula. 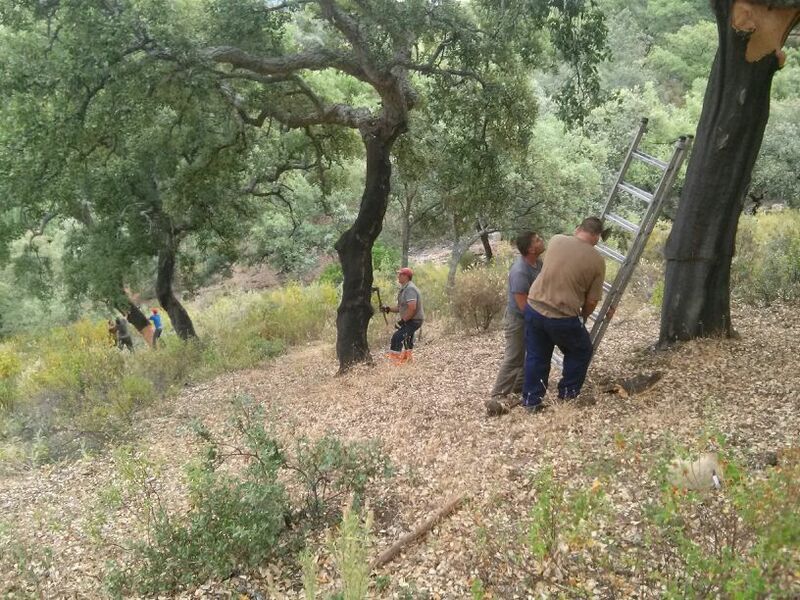 My friend Maria Jose Gil just sent me these pictures of the harvesters during ” el descorche ” in the forests of South West Andalucia. 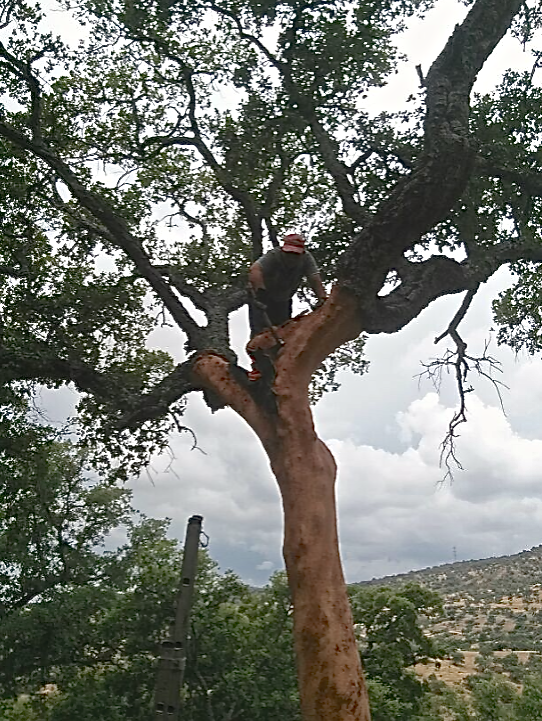 It is a very laborious process since the teams or quadrillas have to be delicate and very professional and not injure the trees and the only way to access those rugged hills is by mule . 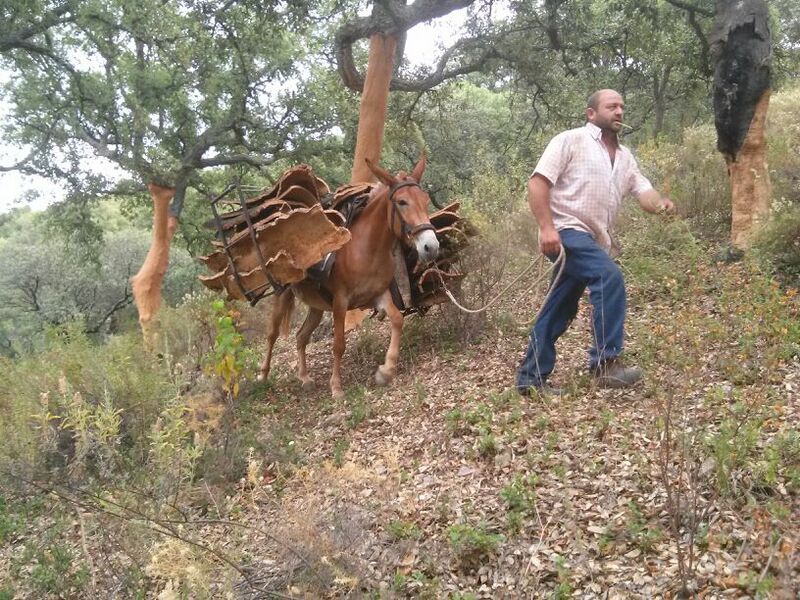 Mules have become very rare in Spain as they are now only used to work on the descorches. 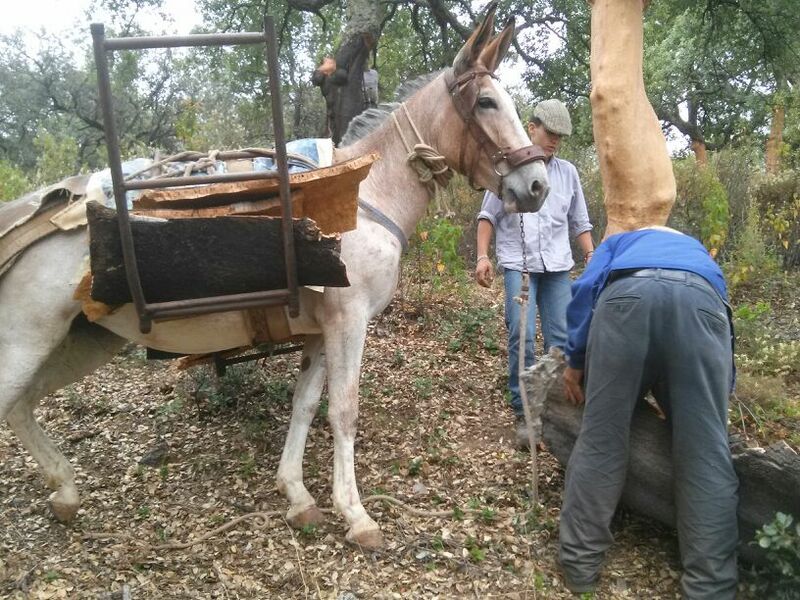 Mules can go where no machine can go , my sister Sylvia tells me about a yearly mule contest in the rural town of Jimena De La Frontera in the province of Cadiz where men compete with their mule to go down a hill and load up their metal baskets as fast as they can. Whoever makes it the fastest up the hill with a full load of cork is the winning mule. Nothing can replace a real cork top on a bottle of wine , but unfortunately it is becoming rare and expensive , so enjoy them while you can. 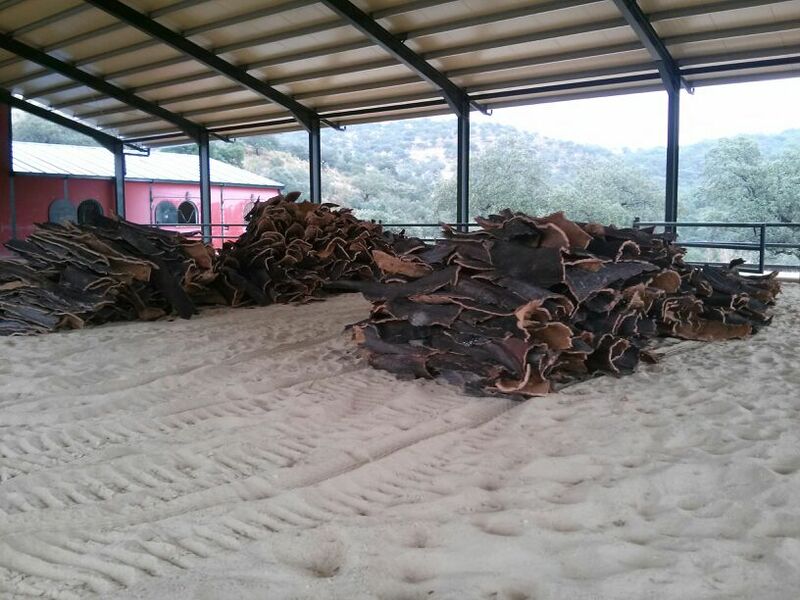 I personally cannot stand those rubber cork tops that are taking over some wineries. 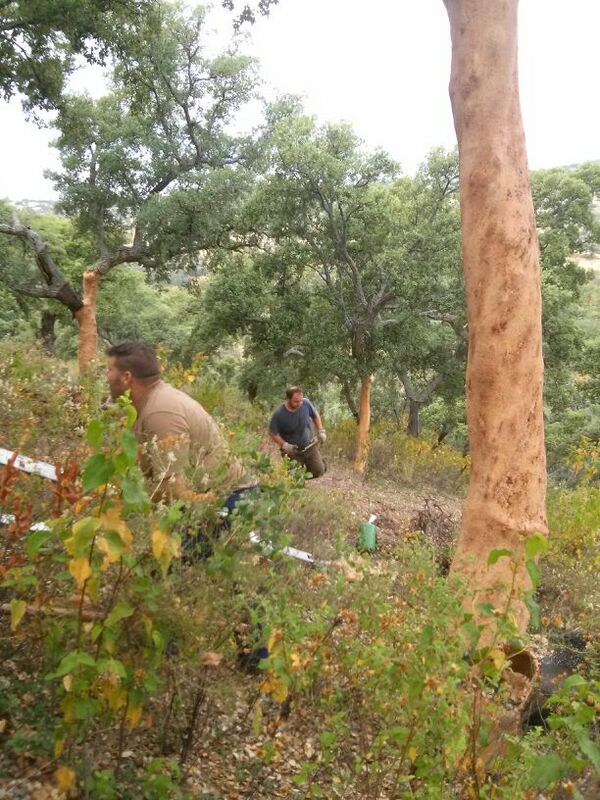 And if you love cork , here are some stools and low tables that I find so chic and beautiful in a simple and rugged way ….they remind me of the stunning alcornocales of my region. 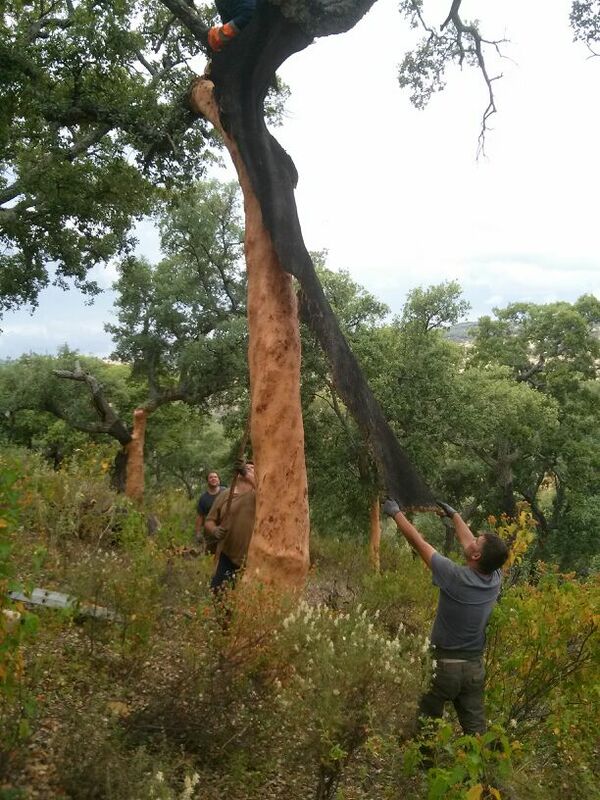 There are about 2,200,000 hectares of cork forest world wide; 32.4% in Portugal and 22.2% in Spain. 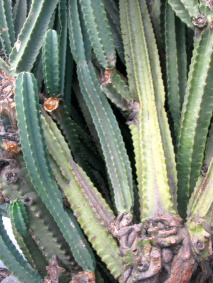 Annual production is about 300,000 tons; 61.3% from Portugal, 29.5% from Spain, 5.5% Italy. 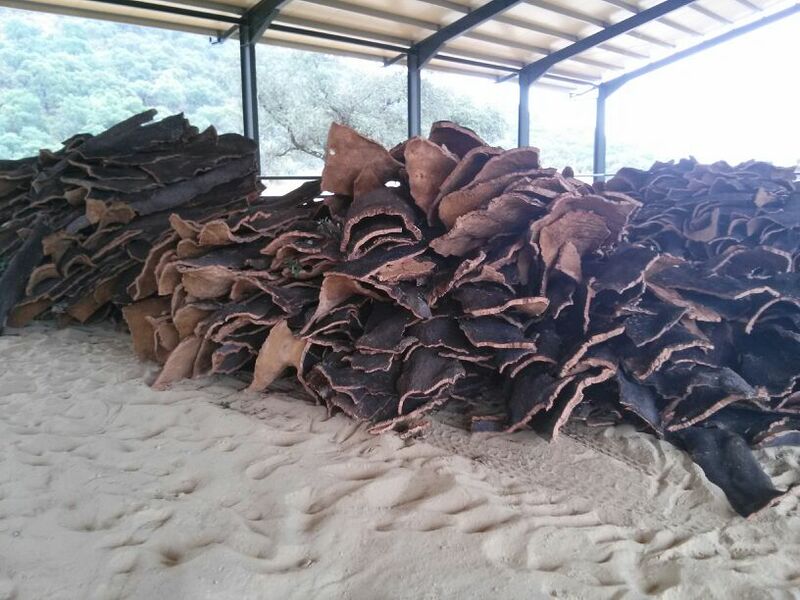 Once the trees are about 25 years old the cork is traditionally stripped from the trunks every nine years, with the first two harvests generally producing lower quality cork. The trees live for about 200 years. 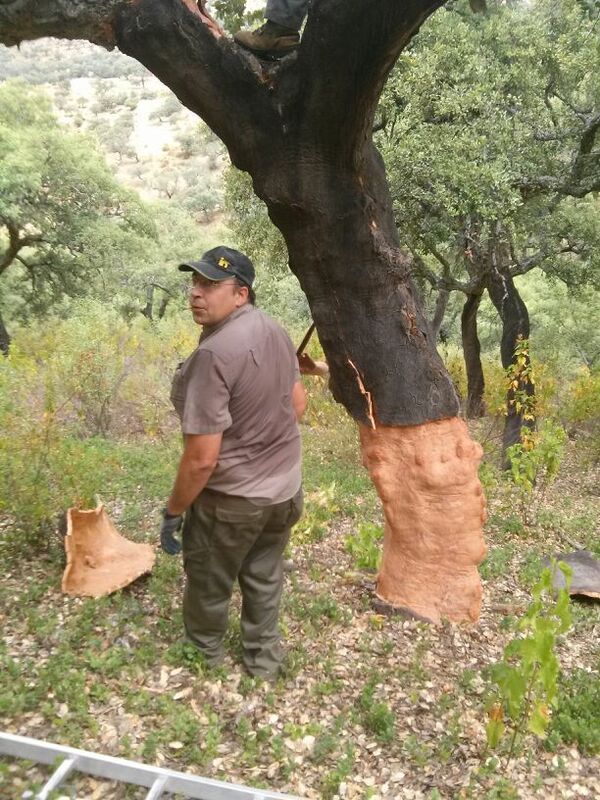 Cork is extracted only from early May to late August, when the cork can be separated from the tree without causing permanent damage. 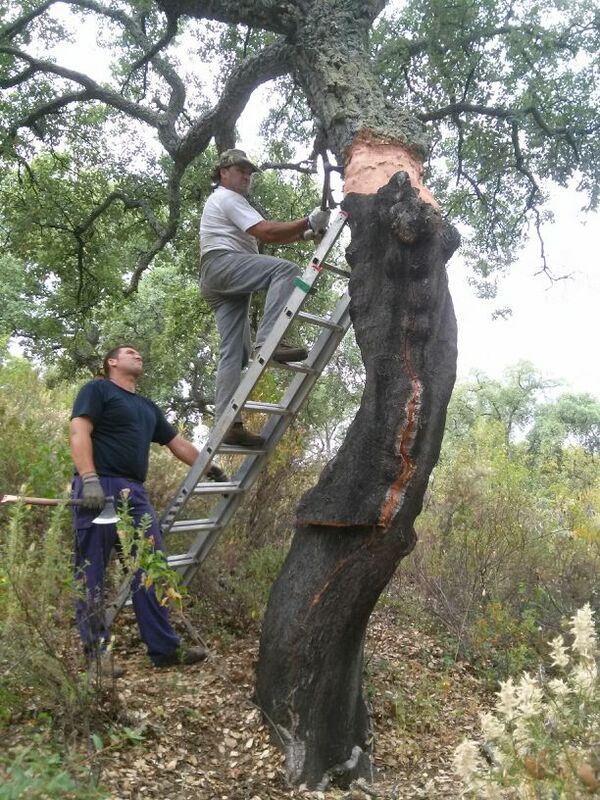 When the tree reaches 25–30 years of age and about 24in (60 cm) in circumference, the cork can be removed for the first time. 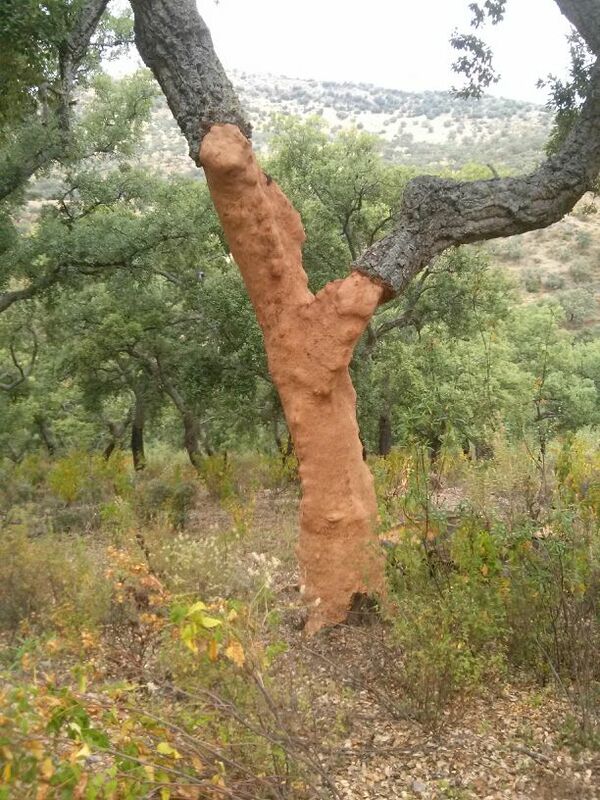 However, this first harvest almost always produces poor quality or “male” cork. Subsequent extractions usually occur at intervals of 9 years, though it can take up to 13 for the cork to reach an acceptable size. If the product is of high quality it is known as “gentle” cork, and, ideally, is used to make stoppers for wine and champagne bottles. 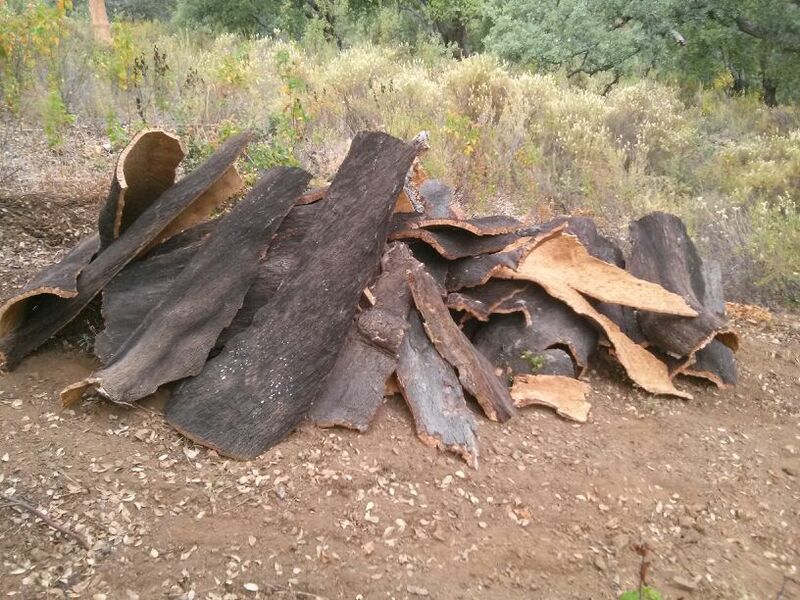 These freed portions of the cork are called planks. The planks usually have to be carried off by hand since cork forests are rarely accessible to vehicles. Finally, the cork is stacked and, traditionally, left to dry, after which it can be loaded onto a truck and shipped to a processor. all photos courtesy of Maria Jose Gil.